The colourful culture and architectural splendour of San Miguel de Allende have long lured an international crowd of bohemian spirits in search of artistic inspiration – and for good reason. The energy in San Miguel is palpable. Euphoric. It lures you in, befriends you, and beseeches you to stay. Set like a crown jewel in the centre of Mexico's green highlands in Guanajuato state, San Miguel is a four-hour drive northwest of Mexico City. 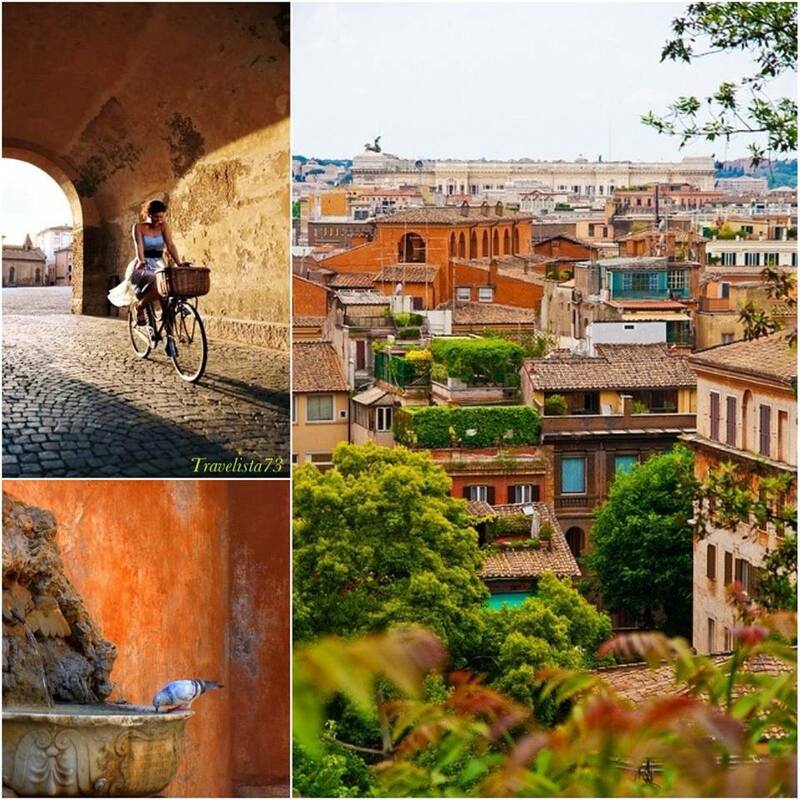 Its cobbled, hilly streets and colonial-era buildings painted in hues of rose, crimson and ochre lead past artisanal shops, boutiques, art galleries, bars, and an impressive selection of stylish restaurants and hotels. Many of which are housed in centuries-old haciendas encircling Spanish-style courtyards overflowing with lush green foliage, reminders of its days as an affluent mining town. In a world where globalization and commercial developments have robbed many cities of their lustre, this 500-year-old gem magically remains unscathed. Declared a UNESCO World Heritage site in 2008, San Miguel’s historical beauty is carefully preserved. No new buildings. No traffic lights. And with just 200,000 residents it is a testament to the calm that envelopes this picturesque mountain town. San Miguel’s main attraction is the impressive Parroquia de San Miguel Arcángel, a pink Neo-gothic church with limestone spires that rise above the historic town centre in lovely El Jardín plaza. It is here beneath carefully manicured trees, on wrought iron benches, that passers-by sit to admire its magnificence and watch daily life unfold, while the church towers’ chimes echo throughout. There are art students sketching, mariachi entertaining, brazen young marching bands playing, and vendors selling an array of sweets and snacks. El Jardín is the heart of San Miguel; the grand hostess to a myriad of lively fiestas and processions, where any given day is a celebration and everyone is invited to the party. Built on the hills of an extinct volcano, comfortable walking shoes are a must in San Miguel. Every turn along its scenic streets provides an Instagram-worthy moment, but it’s the uphill climb to El Mirador viewpoint that will reward you with the most incredible view. If Mexico had a Florence, San Miguel de Allende would be it. San Miguel de Allende is the quintessence of romance; its fairy tale setting a favourite among weekenders and wealthy Mexicans who descend upon this festive town to exchange vows. 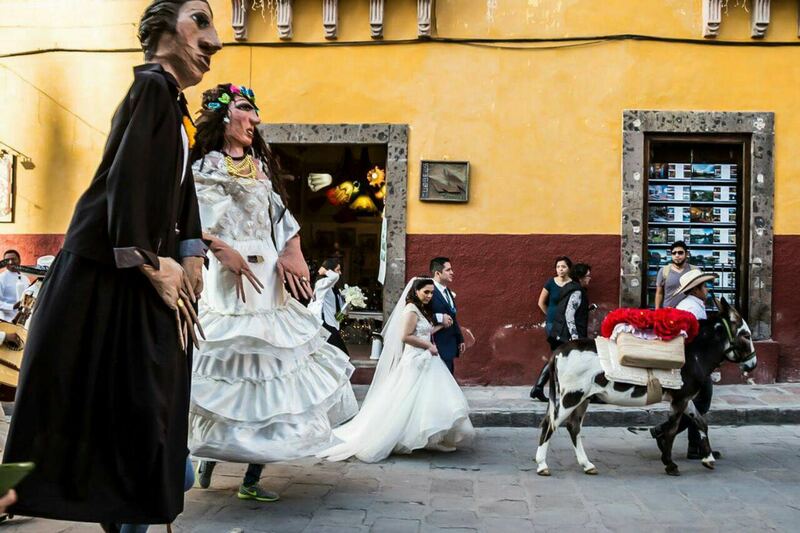 Weddings here take on cinematic flourish with the colourful callejonada, a pre-wedding parade led by a brightly-decorated donkey pulling a tequila cart, mariachi band and dancing Mojigangas (giant papier-mâché marionettes that represent the bride and groom). Festivities in San Miguel end with spectacular fireworks streaming across the sky. This is the stuff that dreams are made of. The town’s dreamy cobblestone streets are filled with tales of expatriates and entrepreneurs – creative souls, old and young - who daringly left everything behind for a chance to start anew. This is the land of reinvention. A place where a NYC gallery owner found refuge in a haven that embraces the arts; where a French Pastry Chef opened a bakery that serves croissants rivalling those in Paris; where a young Mexican woman works tirelessly to save the region's wine making tradition by creating award-winning wines; where a Philadelphia native fell in love with a local Mexican and together turned an old fabric warehouse into an artistic hub for international artists; and where a retired couple of New York ad-execs purchased a farm, planted olive trees and created some of the best olive oil this side of Tuscany. Every story serves as an emblem of artistic living that has become an intricate part of the cultural and economic fabric of San Miguel. Dining alfresco in San Miguel is also a magical experience of story book proportions. Some of the most magnificent city views are tucked inside the charming rooftops of San Miguel de Allende’s finest restaurants. Enter La Posadita, where patrons sip wine and dine on traditional Mexican dishes beneath a starlit sky just a stone’s throw from the cathedral. San Miguel’s beauty is intoxicating, garnering it international attention and numerous accolades. Thanks to its eternal spring weather, yearlong festivities and array of excursions, it is as popular with Mexicans as it is foreigners. 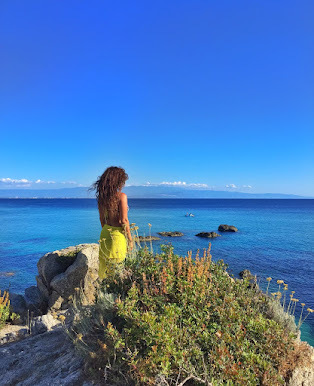 The kind of destination you seek out, and think of as your own little secret hideaway. STAY at one of the city’s picturesque centuries-old haciendas that now house lovely boutique hotels such as the beautiful La Morada Hotel located on the corner of El Jardín plaza. Another favourite is L'Ôtel, a stylish hotel and design center housed in the former Casa Cohen that now features high-end boutiques, galleries, flower shop and gourmet cuisine. FLY AeroMexico offers direct and affordable flights from Toronto to Mexico City International Airport. From there you can either take a connecting flight to Queretaro International Airport (the layover is quite long) and then a taxi or rental car to San Miguel or you can take a deluxe bus to Queretaro central bus station (US$24 each way) and then a taxi to the hotel. You can also hire a private driver to take you from Mexico City International Airport directly to your hotel in San Miguel. 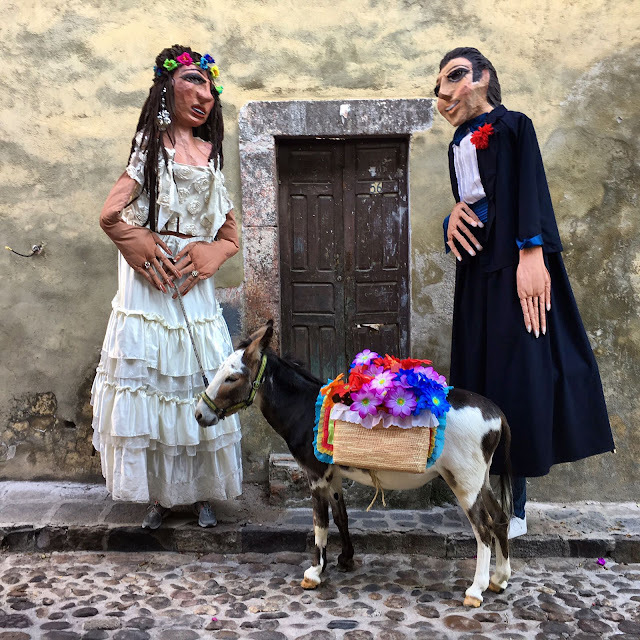 Click here for Travelista73's Travel Guide to San Miguel de Allende!